I feel like this car has matched my old setup almost up top but with much smaller cams (I peaked 660). 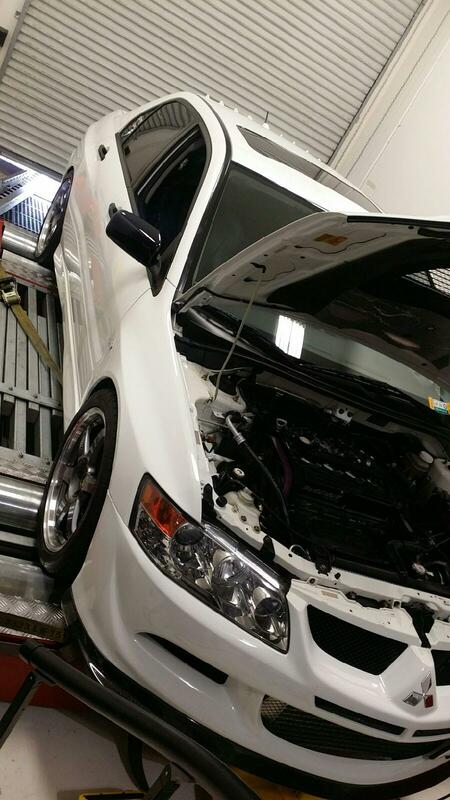 I made 719whp~ on a similar setup as this with S2's on a evo 9, so id say the way this cars going, that with a set of S3 it will surpass the magic 700whp number on a dynojet with ease. 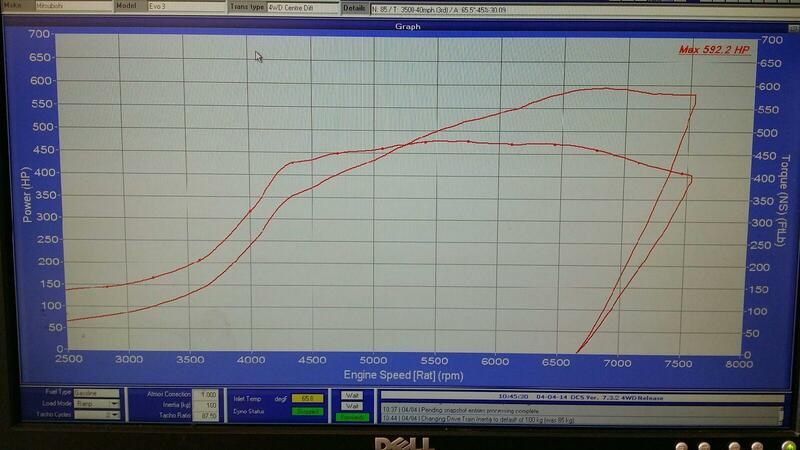 Boost was kept a solid 36psi across the board, and the results pretty much matched my old 2.3 and fp black setup i had uptop. Temps in Cali maybe about 55-60F. Last edited by tscompusa; Apr 4, 2014 at 10:30 PM. Nice numbers. Very similar to my build that's nearing completion but MAP rev2 IM and R2's. Hope I can come close to this number. I can't thank you enough for your patience on this project. Tom and I started this back in April 2013. The build posed to be a bit of a challenge and fought me the whole way. 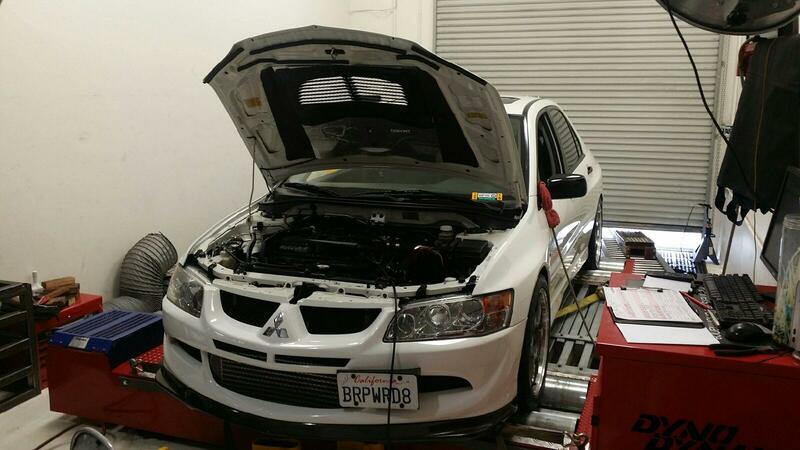 Through it all, Tom was there to insure it would get tuned properly and provide positive results. Like he mentioned, this is nearly identical to his old set-up so it was a no brainer who I was going to choose to tune it. I know I'm giving up a lot with the S1, but that's the price I have to pay to have an emissions friendly car. The car is an absolute blast, just a mean street machine which was my vision for this build. Stay tuned for a full write up-and video on "Project MJ"
Great power for S1 cams! are those all 3rd gear plots or 3rd & 4th? Great results. Look forward to the write up. All pulls done in 3rd gear Aby. 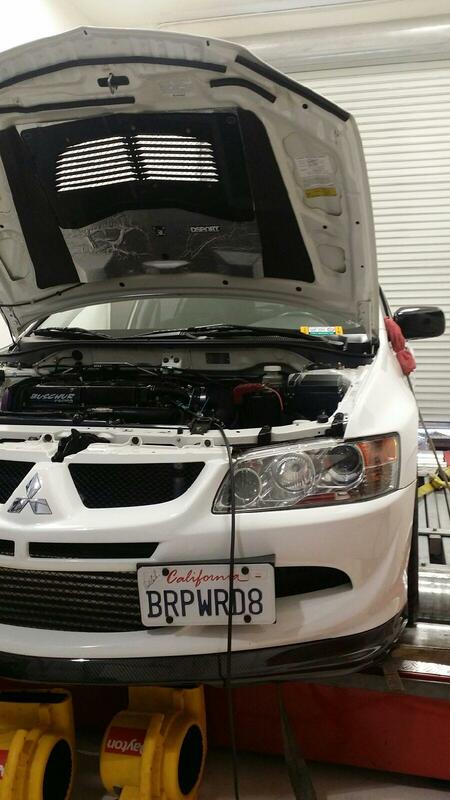 Thanks for all your support over the years with your EVO's! Great results, congrats!! very nice Oz. keep this one between the lines! for sure Jerry. The power is insane. I'm very happy with the car at this level. No need for me to go any further with it as of now. Last edited by SLVRNBLK; Mar 4, 2014 at 09:43 PM. very nice, making amazing power for S1's holy hell! Car hitting the rollers this week just to see how it compares to the numbers Tom provided. Any idea what day she'll be spinning the rollers? If so, I will walk over there & check it out! ^ Aby, it's looking like friday right now. I'll let you know for sure though. Correct, at HGMS. 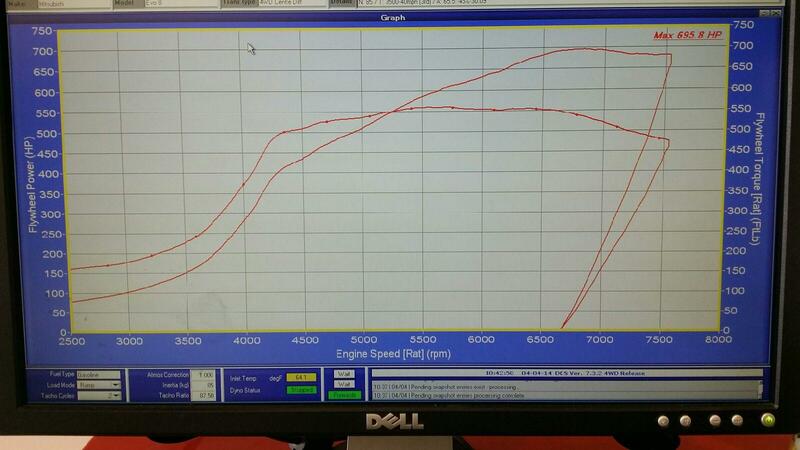 695.8 WHP in DJ/Comparison mode. 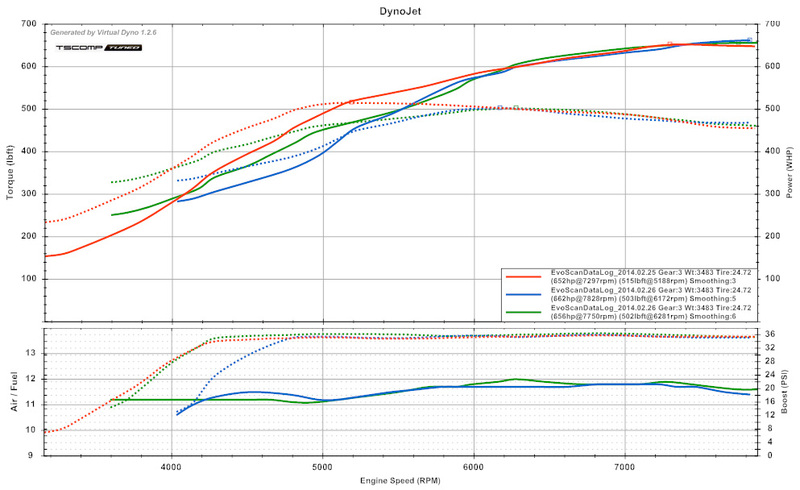 36psi observed by the dyno boost sensor. Graphs & video will be posted later.